The streets of Kingston, Ont., have not seen the last of Branna MacDougall. In fact, they better be ready to see a lot more of her. The standout runner and graduate of Regiopolis Notre Dame-Kingston high school will be lining up with the No.1 ranked Queens Gaels this fall, as they attempt to turn the silver medal they earned at last year’s U SPORTS Cross Country Championships into gold. 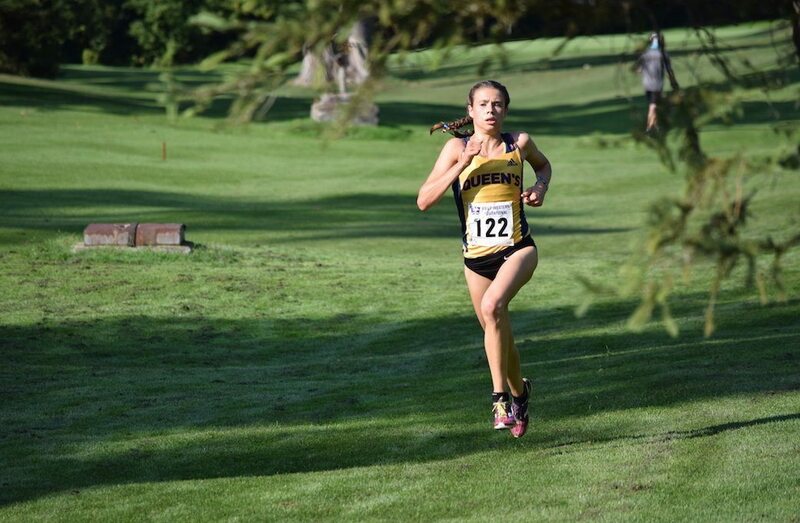 Being a Gael is already coming naturally to the 19-year-old, as it should, after winning the individual title at Saturday’s 6-kilometre Western Invitational, with a time of 20:45. Since her early high school days, her name has been synonymous with excellence within the Kingston distance running community. 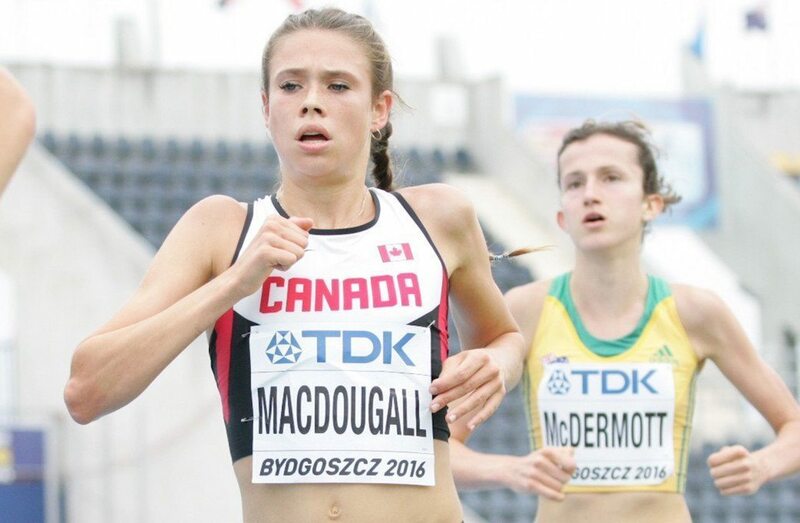 So much so, that Gaels head coach Steve Boyd quickly identified MacDougall as a potential recruit when she was training with Physi-kult, the Boyd-coached and Kingston-based high performance running group. Her first flash of brilliance came in a 3000-meter race in her Grade 10 year, in which she ran nine minutes and 30 seconds. I had started taking it more seriously by then. After that race, Steve realized he might have a special talent on his hands. A provincial OFSAA cross country title followed in her Grade 11 year. 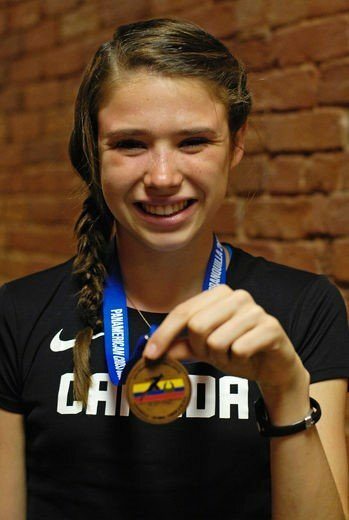 Then came a third-place finish in junior division of the 2015 Pan American Cross Country Cup, and a birth on Team Canada for that year’s world championship – a race in which she was the top Canadian junior. Continuing her training under Boyd by running for the Gaels seemed to be the next logical step for the high school standout – until the NCAA came knocking and MacDougall began second-guessing her post-secondary plans. After a fifth-place finish at her final OFSAA cross country race in the fall of 2015, the race she had won the year prior, she further considered exploring south of the Canadian border. I developed the idea that if you wanted to be the best runner, you had to go into the NCAA system. I kind of got caught up in its glamour. For the first time, someone other than Boyd would be MacDougall’s coach. Garnering interest from schools was the least of her worries. She walked away from high school boasting personal bests of 4:32.87 for 1500 meters, 9:16.63 for 3000 meters, and 15:48.80 for 5000 meters – a time faster than any female has ever run as a U SPORTS athlete. Ultimately, Iowa State University won the MacDougall sweepstakes, and by September of 2016, she had relocated to Ames, Iowa. Once on campus, however, the experience was not quite what she had signed up for and things did not go exactly as planned. I went in, and there was a lot of pressure after the summer of Grade 12. I felt like I had to perform under different circumstances. The coaching was different. I was required to run (long) mileage, most of it at high intensities. I eventually developed a femoral stress reaction… By the end of the cross country season, I was injured, and becoming unhappy. I missed home a lot. A year later, she had made the decision to return home to run and study civil engineering at Queen’s university, allowing her to reconnect with and run for the only coach she’d ever known. Boyd recalls having mixed feelings about MacDougall’s return to Kingston. “I was upset that it hadn’t worked out for her (in the NCAA),” he says. “We parted ways in the fall thinking she would improve. We had agreed that it was the next logical step in her career as a runner. We would still train together in the summers, and she would spend the winters in the States. The duo are already looking far in the future. She has post-collegiate aspirations. We’ve built a four-year training plan that will have her go hard in cross country. It’s exciting. She’s super fit right now. 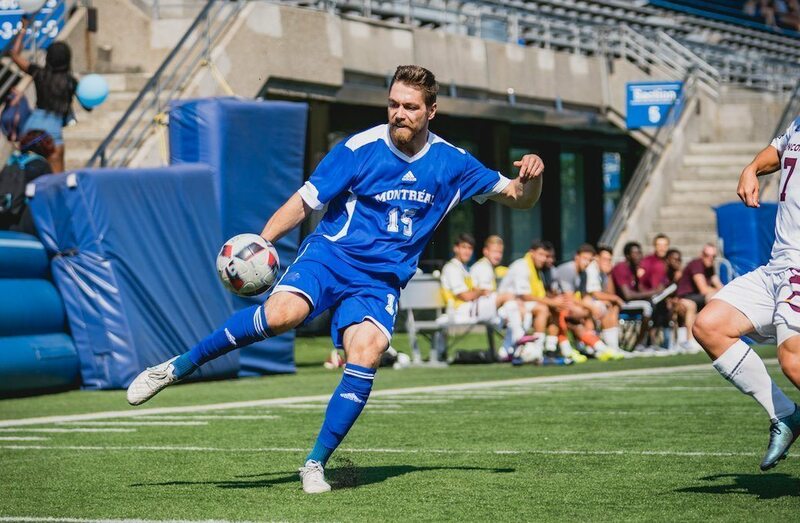 Meanwhile, MacDougall is excited to don the Tricolour again, especially this season, where the top-ranked Gaels are poised for something special. She also highlights the veteran presence of Julie-Anne Staehli – the former U SPORTS All-Canadian who graduated last season – as a mentor at practice. MacDougall elected to forego the Queen’s Invitational to focus on the Canadian 5-kilometre road championships, in which her time of 16:22.4 was good enough for fifth place in a field loaded with Olympians and national team members. Her individual goal for this season in her return under Boyd is simple.